Chris Hodges is presently assistant Coach at Chattooga High School (GA) where he is also World History teacher. 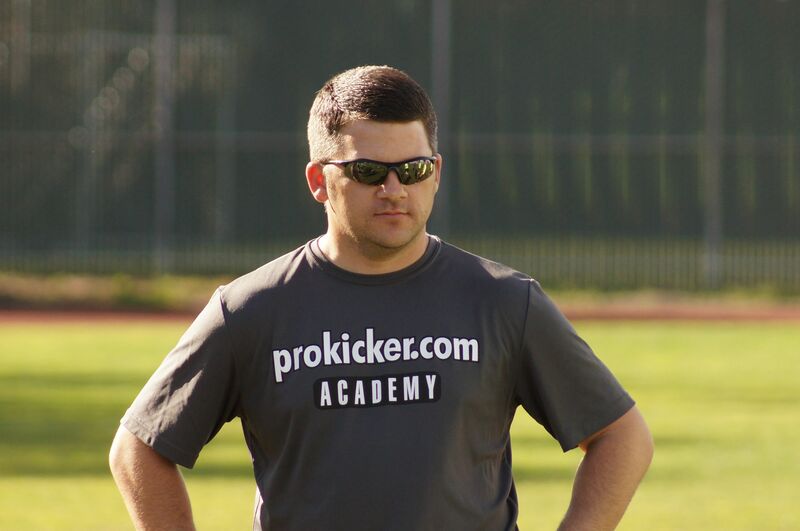 With nearly 20 years of experience in the classroom and on the football field, he is a valuable asset to the Ray Guy Prokicker.com team. Once a standout Linebacker for Thomson High (GA) - the same school that produced NFL Legend Ray Guy - Hodges later returned to his alma mater as Quarterback / Special Teams coach. He joined the Ray Guy Prokicker.com camps team at the recommedation of Coach Paul Leroy - the legendary Georgia coach who led Thomson High to their first state championship with their star player - Ray Guy. Hodges has made a tremedous impact with the Ray Guy camps through his experience as a Special Teams coach and his ability to teach (all three) kicking, punting and long snapping skills. He presently travels the U.S. conducting camps with the Ray Guy Prokicker.com team as well as providing Private Lesson opportunities close to home year round. He resides in the North Georgia area with his wife Judith and their three children.